This article is from the Spring 2003 AFRMA Rat & Mouse Tales news-magazine. QI am in the 3rd grade and I’m studying rodents. What are the best rodents to have as pets and if you have any free stuff please, send as much as you can. Also, tell me what kind of pinkies have the most nutrients in them. AThe opinion about what rodents make the best pets is subjective. Chinchillas are cute and have a good lifespan, but are usually a bit hyper. Rabbits are great, but they aren’t rodents. Guinea pigs make great pets if you can find one with a mellow personality, and they have a fairly long life span. 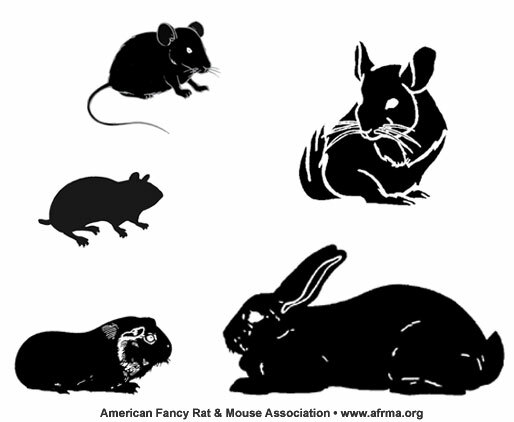 Rats are very intelligent and easy to train, but are prone to many more diseases than other rodents. Hamsters are very cute and a whole lot of fun, but are not smart. Their propensity to bite is mostly genetic, so if you get a biter you cannot train or tame them out of it. Mice are cute but the males tend to smell, and they don’t live very long. In my opinion, rats are probably the best pets if you don’t expose them to other rats so they don’t get sick. You can train them to do tricks, come when called, and because they are social animals they enjoy being handled. What pinkies have the most nutrients? The fat ones. Pinkies that are at least 3 days old so that they have some calcium in their systems from nursing. It also makes a difference about what the mother is being fed. The more protein and vitamin rich the food she gets, the more nutrients are passed down to the pinkies through her milk. Ounce for ounce, it really does not make a difference what species the pinkie is: rat, mouse, or hamster.